New evidence brings the Bible to life—if only more people knew about it. Certainly, one of the most beneficial things about being stationed in Jerusalem with my family is the accessibility to ancient biblical sites. It’s possible to walk a mile and a half from our home and be right among ruins from 3,000 years ago, in the ancient city that King David inhabited and King Solomon built up. When it comes time for a weekend getaway, we’ll find the best bed-and-breakfast deal and then see how many nearby sites with biblical connections we can visit on our trip. There are always many close by. We are living through an age of incredible discovery in the archaeological world that not only adds color to biblical history, but also confirms key biblical events and personalities. As time goes on, more weight is added to the biblical text, showing that it is far more than a collection of ancient fables. Proof of the Bible is becoming more abundant through the scientific archaeological discovery, not less. For those willing to accept it, the evidence is abundant. Unfortunately, even in Israel, there is little awareness of the archaeological discoveries and their attachment to the Bible. I have often been in conversations with Israelis who know little about how the Bible, which is their own national history, is being unearthed at an unprecedented scale. As Trumpet editor in chief Gerald Flurry writes in his free booklet Jerusalem in Prophecy, the Bible used to be Israel’s calling card, now it is simply a book for curiosity. Of those who are aware of the findings, many have an unjustified and unreasonable skepticism about whether the discovery is real or forged. More than once I’ve been in a conversation about the recent discovery of the Hezekiah bulla and someone will say, “But how can we really know it’s the bulla of Hezekiah and hasn’t, instead, been forged?” As if to say, Surely this is too grand to be legitimate; I mean, he’s a biblical king from almost 3,000 years ago after all. In response, I am forced to defend the scientific process that led to its discovery, the context in which it was found, and the translation of the text. After which, there is often a change in the Israeli’s attitude. 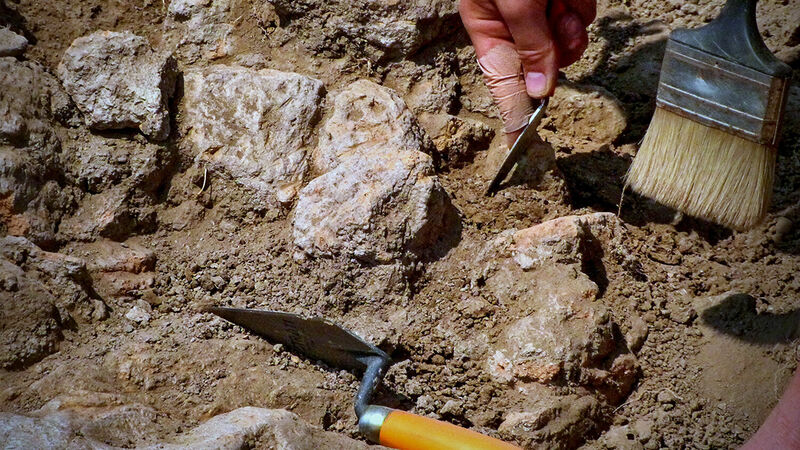 While I only have anecdotal evidence, it seems there is a large number of Israelis, religious and otherwise, who would be excited about the recent archaeological discoveries that support the history in the Bible if they knew about them. Furthermore, it seems there is a much larger audience worldwide that would be astounded to learn just how much has already been discovered that corresponds with the Bible. To help those of you who are interested, I would like to encourage you to visit the archaeological page of our sister website, watchJerusalem.co.il. There, we are publishing regular articles about the latest biblical discoveries, as well as giving light to the findings of the past century that have fallen through the cracks. It’s ironic that in this age of biblical skepticism we have more evidence of biblical history than ever before. And with our website, you don’t have to come to Israel to see it.